For those of you who don’t know, Ubisoft turned 30 this year, and to celebrate the French gaming giant has been blowing the cobwebs from some of their finest pieces of work and giving them away on PC for free. The Ubi30 monthly freebies have been running since June, and whilst we’ve seen some surprisingly good games handed out – Rayman Origins, Far Cry 3: Blood Dragon, and Beyond Good and Evil, to name but a few – if you’ve only just realized what’s happening, then I’m afraid you’ve missed the boat on all but this last one (and Blood Dragon, luckily for you). Don’t worry, though: it’s a good ‘un. 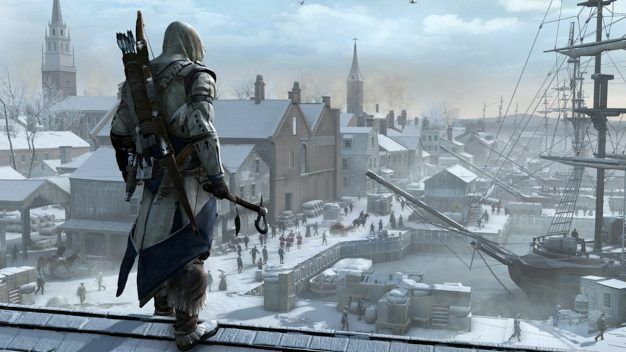 Ubisoft have announced that as of December 7th, Uplay members will be able to download 2012’s follow up to the hugely successful Ezio trilogy, Assassin’s Creed III, on PC. The game will be available free of charge from the 7th through until the end of the year, and stands as the last game on offer as part of the Ubi30 giveaway. I hate to say I told you so, but, well, I did. It’s Kenway Jr. Jr., baby! If you want to get your hands on the game – I would, it’s a fully fledged triple-A title that I suddenly have a strong urge to play – the process is simple: if you haven’t already, head on over to the Ubisoft website and register an account with Uplay. Download the Uplay launcher app for your desktop, if you fancy, then fire it up and hit the ‘Ubi30’ tab. Then download that game and unsheathe those wrist blades. 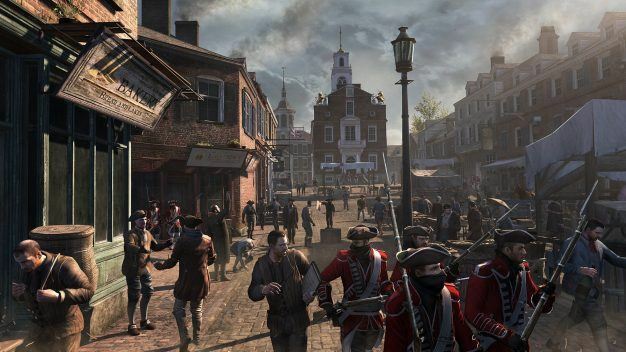 It’s time to massacre some redcoats. But wait, there’s more. As if Ubisoft could get any more philanthropic. Starting December 1st, the company are giving away small freebies daily in what they’re simply calling the “30 Days of Giveaways.” For access, simply Google that name, and you’ll find the wonderfully festive calendar; you’ll also notice that, as December has by this point begun, the first gifts are redeemable. At the time of writing, that’s just the one, which is Rayman Classic for your mobile phone. Each gift will require a Uplay login to redeem, so follow those steps above just to be safe. 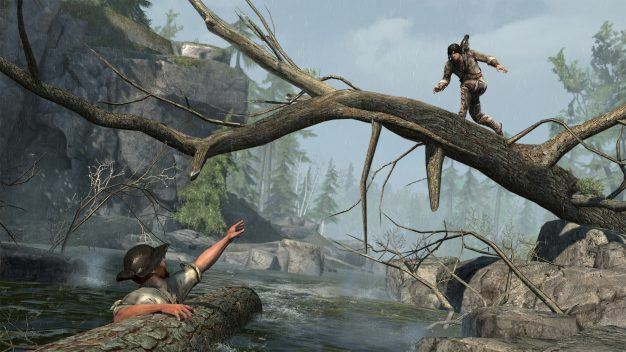 That’s about all, folks, but remember: Assassin’s Creed III. Ubi30. Uplay. December 7th.